Dies R Us: A Celebration of Love! I'm so happy to be back with you all as we start another fantastic year together! Today I want to share two different versions of an anniversary card to show you how changing just one background die can change the entire look and feel of a card. 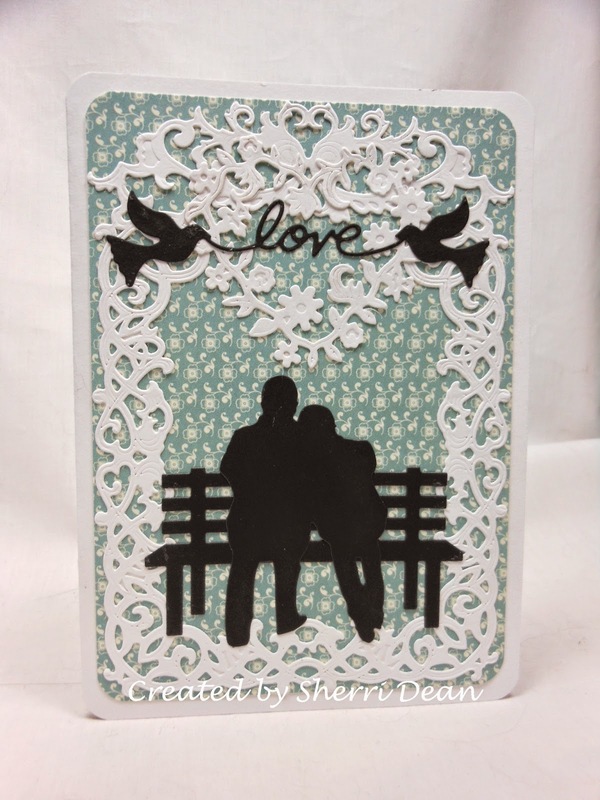 I began both cards with three basic dies which are fairly new & absolutely perfect for anniversary cards: Impression Obsession Bench, Impression Obsession Couple Sitting & Impression Obsession Love Doves. The Love Doves would also work for wedding cards and Valentines too! For my first card, I used a background die from Spellbinders called Floral Affair. I have to confess, I bought it as a birthday gift for my BFF and loved it so much I had to order another one for ME! Sometimes you don't get the full beauty of a die until you actually see it cut! I'm guessing a lot of you are already headed to the store to order this die! Right? Lol !! The next card I made with the 3 basic anniversary dies has a totally different look. By changing the background die to Spellbinders Heirloom Rectangle, I got another gorgeous card that is completely different than the one above. 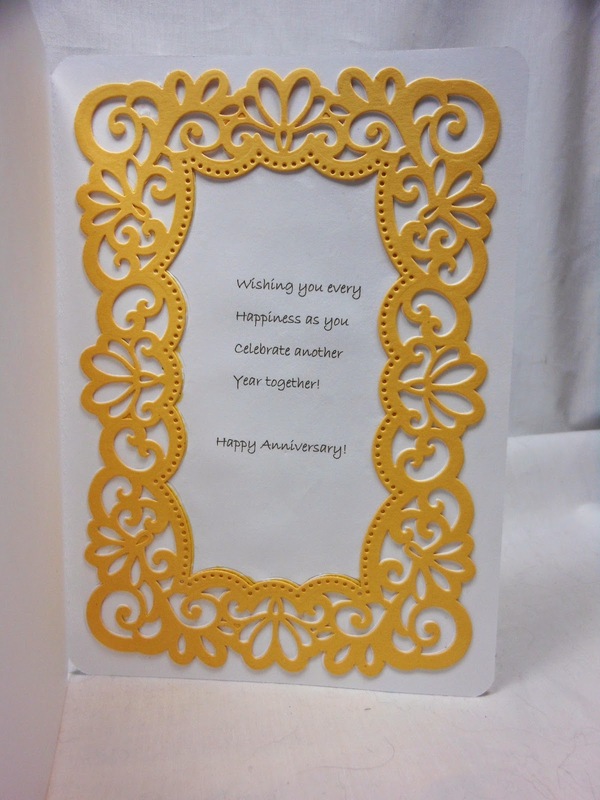 I also used the Spellbinders Heirloom Rectangle to decorate the inside of the card as I will show you next! That is the beauty of using dies on your cards and projects! By changing just one die, you can create an entirely different look & the possibilities are absolutely endless! I hope I have inspired you to create something today! Be sure to check out the wonderful ideas our team shares each day! And don't forget to join our current Dies R Us Challenge for a chance to win a gift certificate to the fabulous store! Happy creating! See you next week!! beautiful Sherri. Love the shadow effect too. Very striking. Oh Sherri these are just BEAUTIFUL!! I love silhouettes and don't use them often enough ... thanks for inspiration! On your birthday, I wish you abundant happiness go here and love. May all your dreams become a reality. But even more than that, may it bring you loads of true love and friendship. Have an amazing birthday!